The CI and TOMS’ partnership began in 2013 resulting in millions of pairs of shoes being given to kids in need. KANSAS CITY, Mo., May 5, 2016 /3BL Media/ As the annual event One Day Without Shoes approaches, Children International is celebrating giving nearly 3 million pairs of shoes to kids in need and three years as a TOMS Giving Partner. 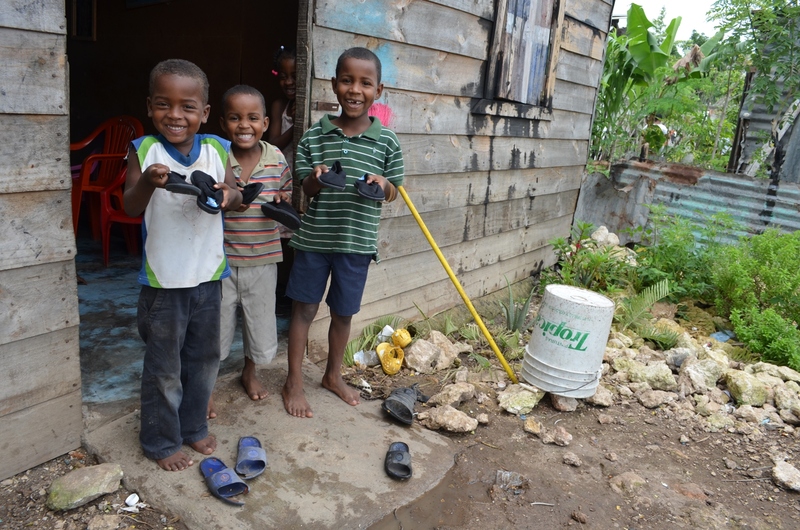 The shoes protect children’s feet from harmful debris and contaminated soil. In many parts of the world, TOMS Shoes meet school requirements for thousands of kids. Where the shoes do not meet school requirements, they help kids by providing an extra pair for other extracurricular activities. Shoes help ease the financial burden on CI’s families who may not have the means to provide basic necessities like shoes for their kids. The distribution of shoes is just one part of CI’s holistic child development program framework, which focuses on helping children and youth become healthy, educated, empowered and (ultimately) employed so that they can break the cycle of poverty. One Day Without Shoes on May 10 is a day to raise awareness of children’s health and education issues and the important role that shoes play in helping kids. Going without shoes allows participants to experience the importance of proper footwear. It is also a conversation starter, allowing participants to bring awareness to issues surrounding children’s health and education. And, for this year’s day of awareness, TOMS will be giving away a pair of shoes for every unique photo of bare feet shared on Instagram using #withoutshoes, up to 10,000 shoes for 10 different countries. Employees at CI’s headquarters in Kansas City, Missouri, will go without shoes on May 10 and will participate in a variety of activities that help educate participants on the importance of adequate footwear. Additionally, CI employees are hosting a shoe drive to benefit two local nonprofits – Operation Breakthrough and Midwest Foster Care and Adoption Association. Learn more about TOMS and Children International. Children International is a top-rated humanitarian organization focused on ending poverty by helping children and youth. Our local staff and volunteers deliver our holistic programs in health, education, empowerment and employment to over 300,000 kids through 70+ community centers in 10 countries.